Thank you for your interest in Tenable solutions. 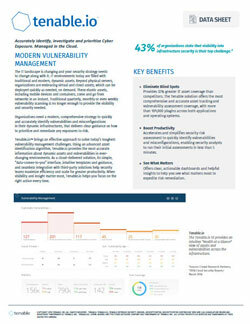 Tenable.io® is an integral component of the Tenable Cyber Exposure Platform that provides actionable insight into your entire infrastructure's security risks, allowing you to quickly and accurately identify, investigate and prioritize vulnerabilities and misconfigurations in your modern IT environment. The Tenable.sc platform provides the most comprehensive and integrated view of enterprise security posture to reduce business risk and ensure compliance. 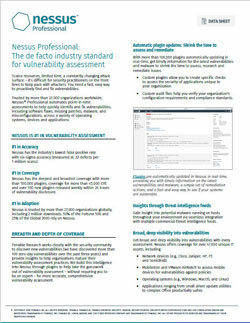 Nessus is the de-facto industry standard vulnerability assessment solution for security practitioners. Nessus helps the security pros on the front lines quickly and easily identify and fix vulnerabilities - including software flaws, missing patches, malware and misconfigurations - across a variety of operating systems, devices and applications.